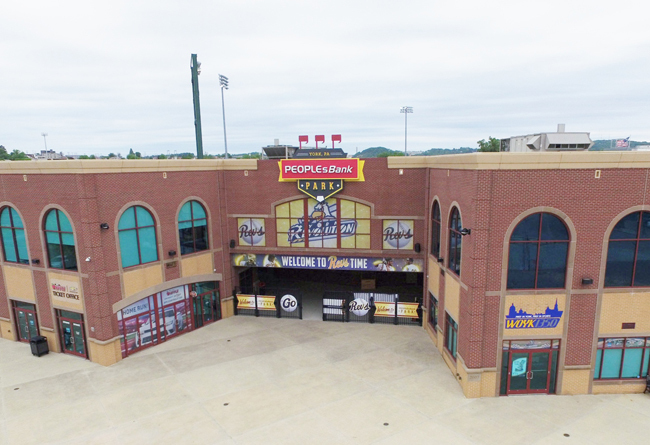 (York, Pa., July 12, 2018) - The Atlantic League of Professional Baseball’s (ALPB) biggest stars will return to PeoplesBank Park next July, and the hosting York Revolution are planning a York-centric celebration. At the league board meeting ahead of last night’s mid-summer classic in Long Island, ALPB officials announced that the White Rose City will host its second All-Star Game in 2019. Revolution president Eric Menzer said York’s team will take the opportunity to shine the spotlight on the entire York community and its many contributions to the country’s history and culture. Menzer said planning has already begun for “Made in York,” the theme of next year’s All-Star Game. Revolution officials have begun reaching out to dozens of potential local partners to discuss sponsorship opportunities and the details of the celebration. “From Pullman Automobiles back in the day to Harley-Davidson motorcycles, the beloved creations of the Starbucks York Roasting Plant, and so much more, we cannot wait to work with our fellow businesses to show off the city’s contributions over the years and the best of what York has to offer today,” Menzer said. The date for next year’s All-Star Game will be announced when the league’s eight teams set the schedule for the 2019 season. Menzer said the Revolution will unveil plans for the game throughout the upcoming offseason. The Revolution last hosted the ALPB All-Star Game in 2011, when the team welcomed 8,053 people to downtown York to watch the Freedom Division defeat the Liberty Division 7-0.